The Sustainable Development Goals (SDGs) are a significant improvement over the Millennium Development Goals (MDGs) because SDGs include indigenous communities. But certain flaws in these goals, including inconsistency of goals and partial solutions, need attention, community representatives said at the Indigenous Terra Madre conference in Shillong on Thursday. The MDGs had no mention of indigenous communities. But SDGs mention them six times, especially as part of the second goal related to hunger and food security and fourth goal related to education. Indigenous people were also involved in the nine major groups which are part of SDGs. SDGs do not, however, recognise the collective rights of indigenous communities as one of the indicators. There is a potential conflict among the goals and they offer false or partial solutions, according to community leaders. "The SDGs depend on solving the problems of sustainability and inequality with the same flawed medicine that has created the problem of sustainability and inequality which is economic growth," said Ashish Kothari from Kalpavriksh, an environmental action group. According to him, SDGs consider economic growth to be the sole driver of poverty eradication but the past few decades have shown its adverse impact on environment, culture, traditional lifestyle and biodiversity. "I don’t see how the same so-called medicine is going to help the crisis we are in," he added. 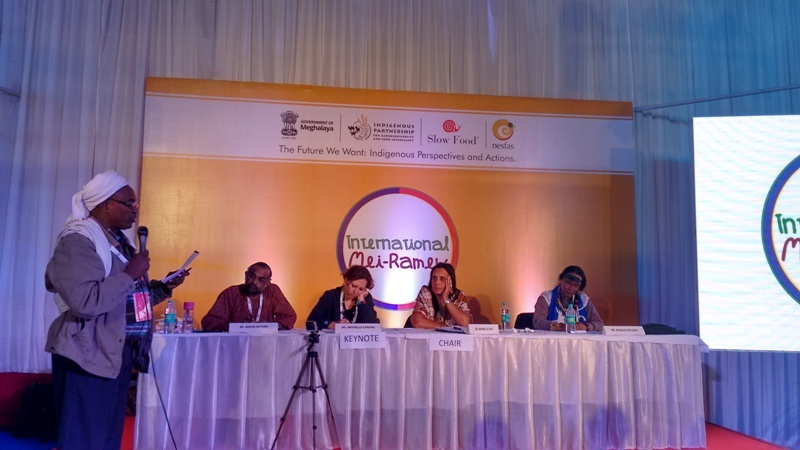 Migdalia "Tai Pelli" Pellicier, from United Confederation of Taino Peoples (indigenous people of the Caribbean), said that indigenous people around the globe should fully participate in the programmes and decisions that affect them. She also sought protection for indigenous peoples’ inherent rights to subsistence, land, resources and way of life. An advocate for indigenous peoples’ rights, Tai Pelli, said they should be part of the discussion on indicators for SDGs to be held during the High Level Political Forum sessions in New York. According to Antonella Cordone from International Fund for Agricultural Development, indigenous people want sustainability, mentioned in the SDGs, to be written as ecological sustainability.